With its soft lines and elongated arch shape, this contemporary Richelieu handle will add a modern style to your furniture and cabinets. Contemporary metal pull by Richelieu. Its simple look with gentle rounded corners will provide an instant update to your kitchen or bathroom. This Richelieu pull will add a touch of elegance to your furniture and home dicor. The simple design is embellished with fine lines for a classic decorative finish. 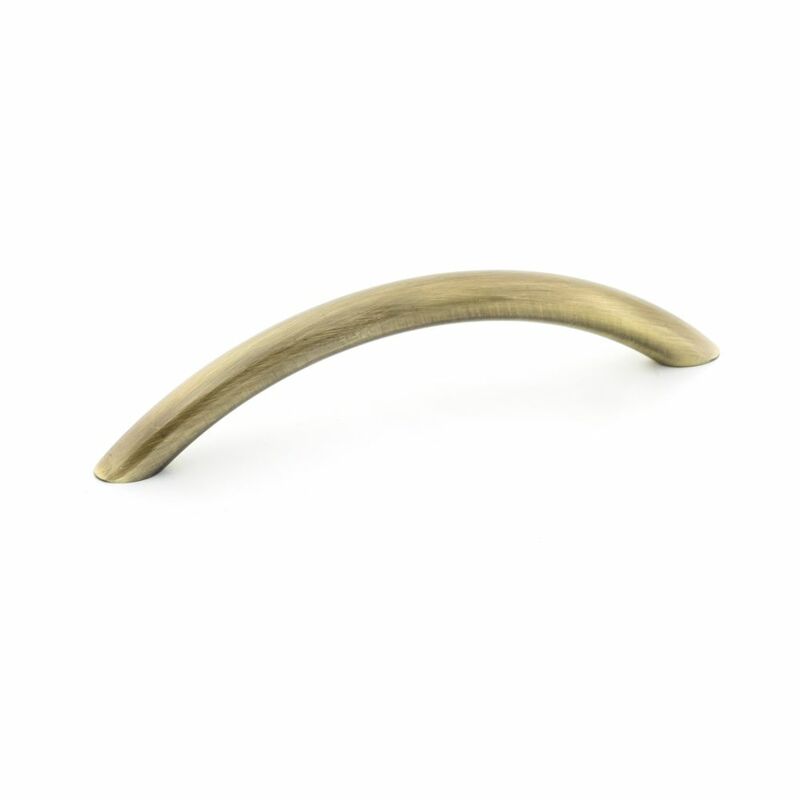 Contemporary Metal Pull 3 3/4 in (96 mm) CtoC - Antique English - Arverne Collection With its soft lines and elongated arch shape, this contemporary Richelieu handle will add a modern style to your furniture and cabinets.